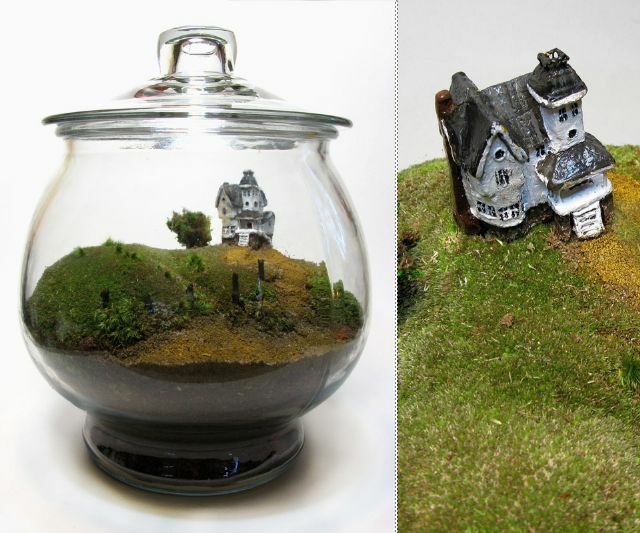 Peep this Beetlejuice terrarium replete with a a wax-sculpted, hand-painted house, plus moss harvested from Etsy vendor Rachelthebish's hometown forests. I like the topography. Originally spotted at Dude I Want That!. LOVE my virtual pit stops at The Fern and Mossery! Thanks for the tip Margaux! I will definitely share your post.